All KS2 children, are now able to participate in swimming lessons. The current Y6 has 24 pupils who can swim 25m in a range of strokes and 21 pupils who have demonstrated safe self-rescue in the water. The remaining 7 pupils can all swim at least 10m. We are able to buy into the Knowsley School Sports Partnership which provided additional training for staff and an opportunity to participate in Knowsley-wide competitions. We are able to allow staff to attend other competitions with our sports teams, including the Premier League football competition, paying for staff cover and appropriate transport costs. This is costly when teams are successful and more time needs to be spent out of school. 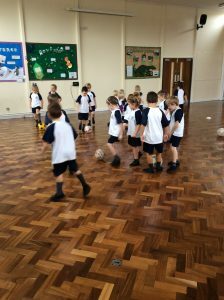 PE resources were purchased for whole school use at lunchtime to allow all children to be active during their free-time. Very positive feedback from parents, regarding our sporting successes with increased involvement. The children have had access to a much wider range of sports than normal. The profile of PE has been significantly raised. HT / Subject Leader / Key Stage Leaders to quality assure the planning, delivery and evaluation of PE lessons. Subject Leader to conduct an audit of extra-curricular provision offered and closely monitor the children accessing clubs. Subject Leader to target children who have not accessed extra-curricular clubs for up to 12 months.